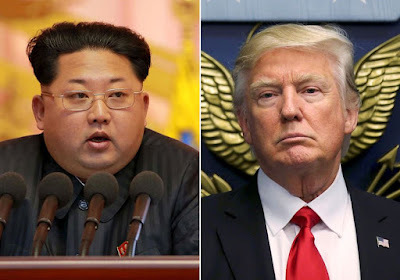 In Brief, the on again off again USA - North Korea summit between president Trump and Korean leader Kim Jung Un is going to happen. It might not happen for months, but it will happen. And it will happen before November. Korea needs it, despite the posturing because they are not only getting pressure from China but Kim Jung Un can cement his place in North Korean history as a standout from his familial predecessors. Or at a minimum as a way to stall American until the next Chamberlainian Democrat president comes along and appeases his nuclear ambitions. China needs it as something to placate president Trump as a success he can share before the midterm elections in the hope that he will owe them something in respect to American-Chinese relations and other issues (think ZTE for example). And of course president Trump needs it for the aforementioned domestic political reasons. President Trump's abrupt cancellation was two things (1) a negotiation ploy to pressure Kim Jong Un to back off his rhetoric and (2) a chance to look tough at home. It was destined to be reversed shortly afterwards and it was. No surprise. The summit will happen. Not only that, it will produce some positive result. Mark my words.